As the Apple news starts reaching a fever pitch, mostly surrounding the very imminent launch of the iPad 2 and perhaps some other things that Apple has up its sleeve, my attention is drawn to the unsung and curiously short-lived news regarding the MacBook Pro refresh and this new Thunderbolt port. I’ve been reading some other news throughout the day and it appears that there are some things that folks have missed so far, things that signal a great future for Apple and the personal computer industry as a whole. One of the first of these important bits is, of course, Thunderbolt. Great technology, lots of bandwidth, high transfer speeds, etc. Generally a good thing. The article I linked to has a lot of great information regarding the specs and capabilities of this new transfer protocol. This, by itself, tells us that Apple’s current-gen displays will look gorgeous, that they’ll be able to run free while also co-existing nicely with other peripherals (hard drives, cameras, iOS devices). Good news, but what caught my eye was this little tidbit that came up a little while ago about Lion’s support for a desktop Retina Display. But one particularly interesting under-the-hood change that we’ve learned about is an evolution of Mac OS X’s “resolution independence” features. Resolution independence has been a long talked about feature that would eventually provide support for high DPI (dots per inch) displays. While there has been the beginnings of support for it starting in Mac OS X Tiger (10.4) and into Mac OS X Snow Leopard (10.6), full support was never realized. This is something that I was very interested in when it first rolled out, but never really saw the fruits of. With Thunderbolt (née Light Peak) technology, very high-resolution displays will become the norm. The incredible transfer speeds required to display all those juicy pixels are now present in Thunderbolt, and Apple has a way to get all those ports out there now, into the hands of the exact folks (photographers, filmmakers, journalists, designers, etc.) who would soak themselves with drool over a double-resolution display. Target audience, check. Then there’s this. Didn’t really happen, did it? Apple, however, has a history of releasing things that they (or Mr. Jobs, more specifically) expressly deny. So now we’ve got super high-res screens on the fuzzy horizon (Just over there! Can you see them?) powered by a transfer technology that will ensure that people using them don’t go cross-eyed or have their retinas burned out by anything other than sweet, innumerable pixels. Suddenly, all those touchscreen iMacs that were never supposed to be look like they can be. Let’s also talk about how Lion fits into this. Apple’s new OS is a powerful statement for user-friendliness without the expense of power. Lion, being designed with all kinds of iOS conventions baked-in, seems oddly reminiscent of a hardware/software duet that mysteriously disappeared right before the launch of the iPhone some years ago. The keyboard, developed by a company called “FingerWorks,” was a capacitative (if I remember correctly) keyboard that allowed for multiple fingers on the board simultaneously. I was going to buy one for my 12″ PowerBook G4, when suddenly the device was nowhere to be found. The company’s website stated that they had been acquired by Apple, and I started telling my friends to get ready for something huge. I’m not sure where to find these videos anymore, but FingerWorks’ instructional videos on their pages look oddly like what I’m seeing in Apple’s own marketing material for Lion. While not expressly a touchscreen OS, Apple will undoubtedly start adjusting their future plans to be able to create computers that have that capability. 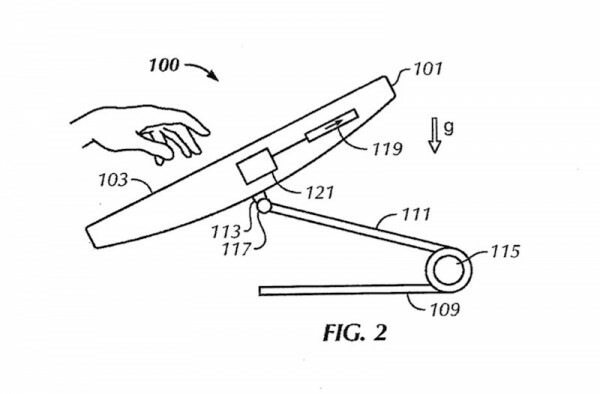 Even though it isn’t what they’re designed for now, the older paradigm of keyboard percussion and mouse gymnastics will shift one day, and I’ll bet dollars to donuts that Apple wants to be at that bleeding edge. While perhaps not quite where we’re headed, the idea of a beautiful, completely interactive table that syncs with the phone/camera/device that you lay on top of it (NFC, anyone?) and allows us to interact with our information naturally is a science fiction dream, and Apple’s vision is putting it within reach once again. UPDATED: A couple folks asked about the title of the post. The title is actually a line from a poem written by a martial artist about Aikido, the next line is “Throw, like thunder.” Seeing as how the post is about Thunderbolt, I thought I’d add something related in there. Sorta esoteric, but fun.